This home is a "10"!! Nearly every update you can imagine has been done for you. Newer Kit. w/ Granite Cntps, Stainless Jenn-Air Appliances & slate floor. Master Suite has new bath, skylights, lots of storage. Newer roof, gutters, furnace, hvac, HWH, copper plumbing, electrical. Basement is pristine: New sewer line, waterproofed in '05...then finished w/ tons of recessed light, drywall, a private office, great storage space. Mc Giverin Haldeman's Berkley Sub is a subdivision within the city of Berkley, Michigan. There are currently 1 Homes for Sale within Mc Giverin Haldeman's Berkley Sub, with asking prices ranging from $369,900 to $369,900. The average list price per square foot of the available inventory in Mc Giverin Haldeman's Berkley Sub is $190, which is below the Berkley average of $208. The Average Sales price of all sold real estate in this subdivision for the past year is $228,171. Recent comparable homes have been selling for 98.33% of their asking price. Waterfront homes represent 0.00% of the available Mc Giverin Haldeman's Berkley Sub inventory. The population of Berkley, according to the 2010 Census, is 14,970. The total number of households in the zip code of Mc Giverin Haldeman's Berkley Sub is 6,594, with an average household size for of 2.27 people. The total number of renter households within the zip code of 48072 is 1,231, which means that 81.33% of households in this zipcode are owner occupant households. 4191 Robina Avenue , Berkley MI 48072 is a Home, with 3 bedrooms which is recently sold, it has 1,219 sqft, 0 sized lot, and 1 Car parking. 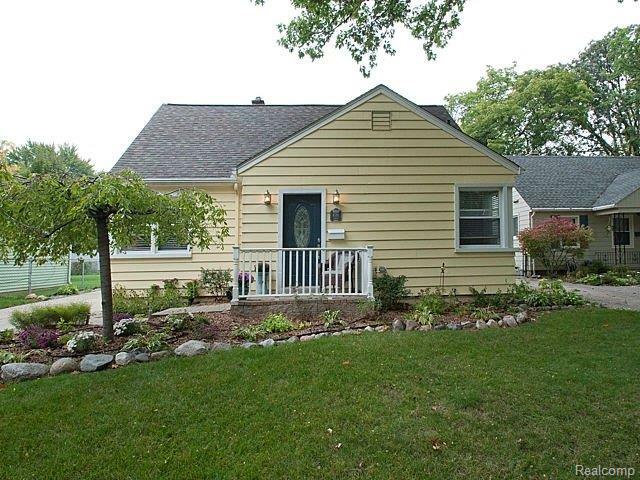 A comparable Home, has 4 bedrooms and 3 baths, it was built in and is located at 3670 GRIFFITH Avenue Berkley Michigan 48072 and for sale by its owner at $ 369,900. This home is located in the city of Berkley , in zip code 48072, this Oakland County Home, it is in the MC GIVERIN-HALDEMAN'S BERKLEY SUB Subdivision, and Cottage Homes Sub are nearby neighborhoods.